International Journal of Research in Health Sciences,2014,2,1,166-171. 1,2,3-Assistant Professor. 4,5-Professor, Dept of General Surgery, SBKSMIRC, Pipariya, Vadodara, Gujarat, INDIA. Aims and Objectives: To study the outcome of endoscopic management of urethral strictures. Study Design: Prospective. Setting: Dhiraj hospital, Piparia, Vadodara. Period: May 2009 to Sept 2010. Materials and Methods: 80 male patients afflicted with stricture urethra and who underwent visual internal urethrotomy (VIU) were selected. After VIU these patients underwent regular dilatations as per the study protocol. Follow-up was done for 6 months. Results: Urethral stricture is common in the young population with trauma being the most common cause. The results of VIU were excellent in 75% patients who were treated with single internal urethrotomy. Internal urethrotomy was to be repeated in 12.5% patients and urethroplasty was performed in 7.5% patients. 4 patients (5%) were lost to follow-up. 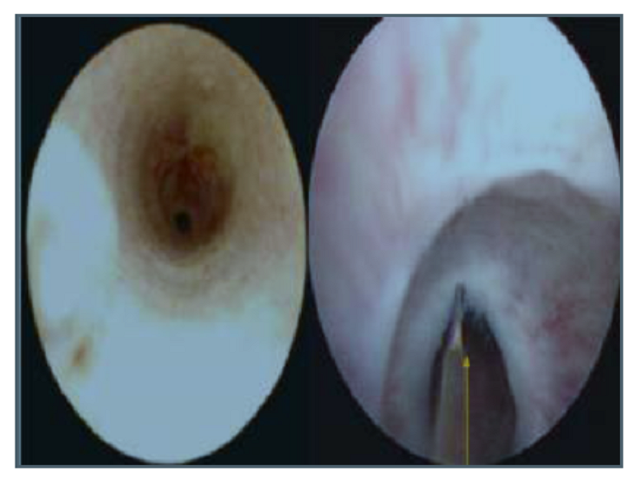 Follow-up urethral dilatations were done in order to prevent recurrences. Conclusions: Visual Internal Urethrotomy is a safe and reliable procedure for simple urethral strictures. Urethral dilatations as a follow-up tool has a role in preventing stricture recurrence after initial treatment with internal urethrotomy.